We transform business performance and boost well-being. We use Applied Psychology in business to help our clients be more successful. We’ve been doing it since May 2000, via L&D programmes, coaching & mentoring, and keynote speaking. Specialising in transforming human performance in: sales, engagement, motivation, Zest (positivity, resilience and confidence) and EBITDA. And for 19 years we have always delivered or exceeded the client’s brief. New Impetus International Ltd is an independent company with bases in Cheshire and Copenhagen. We work with companies of all sizes, mostly in the UK, Continental Europe, and a bit in the USA and Middle East. 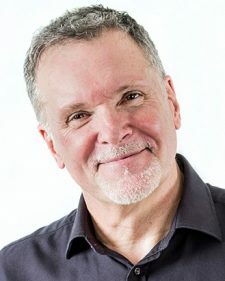 Graham Keen is a positive psychologist with previous experience as CFO, entrepreneur, and corporate finance practitioner. He founded the company to create and deliver services solidly based on hard evidence. We want our clients to engage us because of a compelling business case: investing in our services being justified by generous financial returns. So we put a lot of effort into keeping up with research that can be applied commercially and our methods are constantly evolving and improving. Delegates are always telling us our interventions have been life changing. They talk about confidence, resilience, happiness, effectiveness, leadership. We have many former junior execs now in the C-suite, some as CEO, who thank us for our massive contribution to their success. Inspirational business psychologist Graham Keen trained in positive psychology with Prof Martin Seligman in 2003. Taken together with Graham’s earlier experience as plc CFO and corporate finance practitioner, this brings a unique combination of skills. Graham is an energising tutor and speaker. He is warm but direct, passionate, and occasionally hilarious. Delegates are engaged by Graham’s empathy and insight into what’s going on in their minds. He has the knack of telling surprising and uncomfortable truths in a way that inspires acceptance and ignites action. He has a 20 year track record of winning even reluctant people’s buy-in to change, and consistently improving patterns of organisational behaviour. 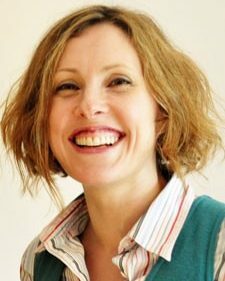 Since 2002 Katy has been responsible for keeping New Impetus International up to date with emerging psychological research in our areas of interest. Katy also leads operations in relation to client programmes and our franchisees, and is our Head of Marketing. Katy’s early background was as a research graduate with masters degrees in Social Anthropology and Information Management. GKP Denmark is our Danish GKP Partner offering a full range of management and personal development training, including New Impetus, in Northern Europe. Henrik has been working in people development for the last 28 years, including a long and successful senior management career at Canon. He is an engaging, empathetic and passionate tutor and presenter with an exceptionally warm personality and a dedicated exponent of supporting your successes in both your business and private lives. With a background as a highly successful Key Account Manager in the IT industry, Lars brings many years experience building long term client relationships. He is responsible for both winning new business and delighting our existing clients in Denmark. A dedicated champion of our New Impetus values, Lars relishes his role in helping clients to grow their business, increase employee engagement, and deliver superior financial performance.